The movie is a reminder of the impact our community can have when we start exerting our power for our interests. What is often seen during elections — whether presidential, state or local — is a late-in-the-game ploy to encourage African American voters to show up at the polls. In many places, it’s a church-focused effort led by the Democratic Party, because the Republican Party typically ignores us altogether. But while some Democratic representatives, and a few within party infrastructure, have done right by the African American community, many others have failed us once they’ve taken office. Broadly speaking, Democrats have pandered to the lowest common denominator of black issues, voicing support for police, welfare and education reform, but seldom supporting the narrative or authoring policy around wealth creation, shifts in equity and ownership or anything that speaks to sustainable power for the black community. Siding with Democrats has often forced the black community to align with public interests that fail to have a return on political investment. In 2014, for instance, we watched Nina Turner (a black candidate for secretary of state in Ohio who was doing well in the polls and ran on a progressive platform aligned with the party with a focus on voter protection) receive little support from her own party as it rallied behind its struggling gubernatorial candidate. That loss arguably had implications on the 2016 election and the ability to have strong elections in a crucial state. Now with midterm elections looming once again, African Americans have the power to shift the country’s trajectory in the long-term best interests of our people. We have to stop asking people to value us; the black community can change the world when we are clear on our value. “Black Panther” is a reminder of the impact we can have when we start exerting our power for our interests and avoid simply giving our votes to the Democratic party — or any party — without demanding substantive attention to the issues affecting our community in return for our financial contributions, voices and votes. But that means we have to articulate specific policy asks, rather than allow the party establishment to pacify us with promises of change and post-election positions of perceived authority (like “Director of Minority Outreach” or the designation of a handful of junior committee positions to minorities). Otherwise, when party leaders encounter future political difficulties, our issues will no longer be a priority and any earnest effort to transform our communities will be set aside. To be clear, this is not about jumping ship and supporting the GOP. It is instead about our opportunity to make our own declaration of independence — one that allows us the flexibility to develop a comprehensive political agenda that is driven not by political party, but by our determination to claim true political power. “Black Panther” offers three main ideas that the black community can use not just impact, but to disrupt the American political system in this year’s midterms. The first is the “multiple tribes, one people” philosophy in Wakanda, portrayed in the movie. Perhaps not every black person values the same issues in the same way, but, collectively, we do want progress on issues like wealth creation, quality education, community investment and various issues of social justice. Regardless of the nuances of our political agendas, our “tribes” can and should unify for the betterment of the broader black community and develop a sophisticated political agenda on which the vast majority of black people — regardless of social or economic status— can agree because it will benefit the collective. The second thing from “Black Panther” that we should seek to emulate is Wakanda’s multi-gendered leadership. Though T’Challa is king and the Black Panther and most of the tribal leaders are men, Wakanda’s stability and strength equally rests in the hands of a complex community of powerful women. From warriors to tech leaders to chief advisors, women’s leadership is not an anomaly, but a necessity. That has too often not been the case in black communities. Despite the recent election of Keisha Lance Bottoms as mayor of Atlanta, our community has often had problems supporting black women who run for political office when black men (who are, in some cases, less well-positioned to win a particular election) are also running. In St. Louis and Ferguson, Missouri, we saw instances where the black male candidate(s) derailed black female candidates’ wins. And even in the recent Atlanta Mayors race, we saw black male Democratic candidates endorse a white Republican candidate over Bottoms, in opposition to the community’s long-term interests. We as men have to manage our egos enough to be challenged by our sisters and recognize that women’s power and leadership is not an affront to ours, but a required component of our communal power. Supporting internal communal equity is a prerequisite to our community achieving the power we need. The third thing that we can take from the film is that we must stop allowing other people to define our enemies. 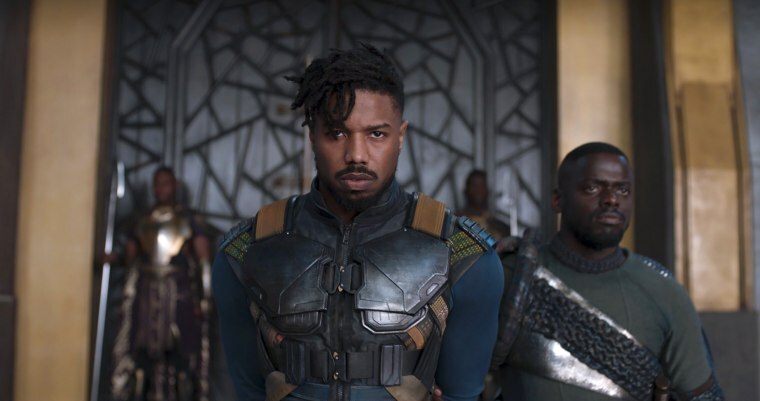 Erik Killmonger, while fueled by anger, was nonetheless committed to an empowered diaspora, leaving some viewers to conclude that he was not the true enemy of the film but instead an opposing methodology to challenge the unacceptable status quo. Though his approach was more radical than T’Challa’s, his commitment was not wrong — and in many ways was necessary for self-determination and fulfillment of the community’s purpose. People have regularly tried to pit black leaders against each other when they weren’t fighting for fundamentally different things; their methodology was just different. Whether its W.E.B. DuBois vs. Booker T. Washington, Dr. Martin Luther King Jr. vs. Malcolm X, or traditional civil rights leaders vs. Black Lives Matter, strategic public discord doesn’t mean the two sides don’t recognize the other as necessary or valuable. As we think about our political agenda, we must be clear that our mere survival is no longer enough for us: Political power must be one of our goals. We must advocate both for an end to police brutality and an increased number of tech founders and investors; marginalized communities must have basic needs met and we should be working to create more millionaires (and billionaires) and small businesses. If we are not serious about the development of an agenda for our community that translates into power — even as we align with allies who are outside of our community — then we will continue to be the greatest, most gifted community of pimped-out people on the planet. We have all the gifts we need; we don’t need to beg political parties for what we have the ability to create for ourselves, be that wealth or survival. And our voting, as well as our living, should reflect that: With over a trillion dollars of spending power, even a fraction of focused investment on legacy and power would transform local communities. The Democrats will not save us; the Republicans are not a better option. And anyone else’s “third party” is not a silver bullet. But the galvanization of our resources, talent, intentionality and mobilization would force all parties to take our vote seriously and deliver to our community what we have seen done for others. And whether we come together as families, local communities, a nation or through multiple organizations to discuss (behind closed doors) our vision, goals, levels of investment and strategy doesn’t matter. It is about disrupting our current political approach to produce outcomes that truly benefit our community, not just a party. Wakanda is not entirely a fictitious story: It is the story of who we are supposed to be, and the decision is ours. The midterms are not a movie, and their impact will not be measured in box office receipts, but in the power we claim or give away. Jeff Johnson is the creator, host and executive producer of BET's "Mancave." He is also an award-winning journalist, Managing Principal for the Baltimore-based strategy firm JIJ Communications, and provides regular content for the "Rickey Smiley Morning Show."